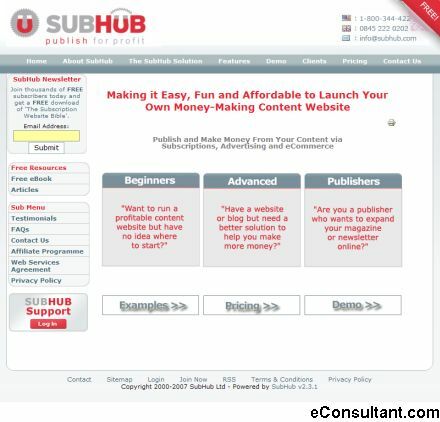 Description : The SubHub Solution is all about empowering you to easily design, build and launch your own website based on your knowledge, experience or expertise. Within a couple of weeks you could be the proud owner of a professional website, making money from your content. SubHub provides you with everything you need to fast-track your website launch and then they will manage your site going forward so you can concentrate on what you do best, creating content.